Lately it seems there are two distinct camps of beauty savvy women—those who prefer a less-is-more approach to makeup, and those who are super skilled in layering products, blending shadows and highlighting like Gods for a full, flawless face. I sit firmly in the former and, like many busy women, naturally gravitate to a simple morning routine with a tight edit of products. SPF, tinted moisturiser, a quick brush of the brows, a swipe of highlighter (in a foolproof cream stick formula, of course), and I’m almost done. Call it no makeup-makeup, call it French Girl beauty; whatever the label, it’s a look that’s easy, fresh and creates the illusion of alertness at 7am. What I know for sure is the step that does most of the heavy lifting is my mascara. I’ve tried high-end brands, pharmacy brands, and nearly every four-star reviewed tube on the internet. While there's a few I've really liked, I’m always looking for a bit more. Because as most of us know all too well, the quest for the Holy Grail mascara is never really over. Given that, why not take a recommendation from the one Kardashian-Jenner who doesn't have a beauty line? 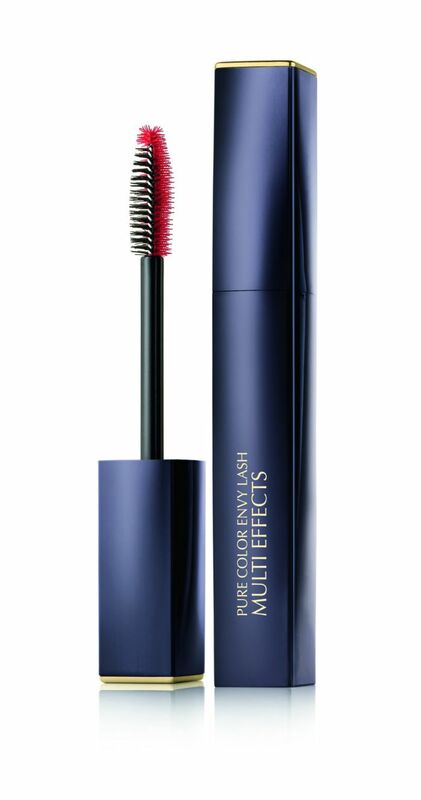 Estée Lauder ambassador and model-of-the-moment Kendall has admitted she's a big fan of Pure Color Envy Lash Multi-Effects mascara, so of course I went ahead and used it for a week. Here's my review. For the very first use I'm heading to an event so I will be more dressed up than usual. The wand is unique: short, spiky bristles on one side and longer bristles on the other. I use the long, nylon fibre bristles first, starting at the root of my lashes and wiggling my way to the tips. This side of the brush is designed to build extreme volume and lift—which it really does. My lashes look thick and dark. I then use the short, molded silicone bristles to comb the product through evenly and separate the lashes. As it turns out, my technique is spot on—this side of the brush is designed to provide length and separation for a fluttery, flirty effect. For a weekend look with a fuller face, it’s perfection. But I’m more interested in how Lash Envy might fit into my daily routine. So, come Monday I’m intentionally more light-handed, focusing on using silicone molded part of the wand only. It can be a little tricky with only a small section of short bristles, so focus and a steady hand is required. A single coat sans eyelash curler gives enough definition to my eye and depth to my dark features without making me look like a raccoon. Win. Heading to after-work drinks (yes, on a Monday) the lightweight, creamy formula makes it easy to add another layer without clumping or flaking. I do have to fix up some under-eye smudges during the day; something I am personally prone to with every mascara formula I’ve tried so far. The final verdict? After a week of wear, Lash Envy has definitely earned a spot in the products I keep on rotation. Praise be, KJ, praise be.